ISIS is threatening the entire Middle East. 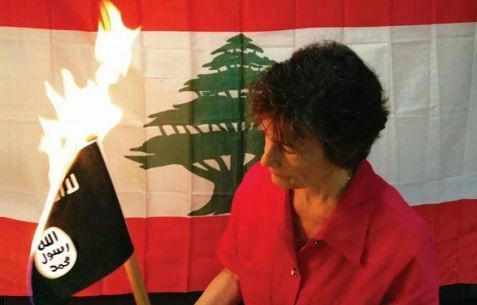 This action originated in Lebanon- its a small gesture you can take to let the Kurds, the Yizidis the Christians and the other besieged minorities of the Middle East know that they are not alone. 1. go to Google Images and type �ISIS flag�. Choose one that you can print on one page. 2. Print it (if you can print larger ones, all the better). 3. Get someone ready to take a picture or film. 4. Light it up (just be sure to not set anything else on fire). 5. Take pictures of the thing burning (no need to include anyone in the picture, although landmarks in the background will add to the weight of the message.